Amy Krasner is a founding principal of Avalon Legal Search. Since becoming a legal recruiter in 2004, Amy has made a number of high-profile partner and partner group placements. Amy specializes in attorney placement and works with law firms and corporate legal departments across the country. She has significant experience placing partners, partner groups and associates at law firms and in-house counsel of all levels within corporate legal departments. 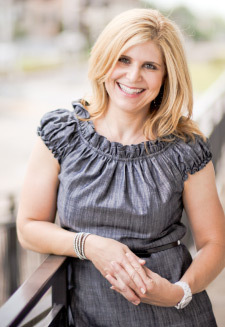 A native Houstonian and graduate of St. John’s School, Amy earned her undergraduate degree at George Washington University in Washington DC, and her law degree from The University of Houston Law Center. She began her legal career in Austin as an antitrust lawyer at the Office of the Texas Attorney General and spent several years in private practice with Akin Gump. An accomplished cyclist and marathoner, Amy has completed the BPMS150 bike race four times and has completed five marathons, most recently the 2011 NY Marathon. She is an active member of the Junior League (Austin and Houston chapters), volunteers at M.D. Anderson, Dress for Success and Recipe for Success and is a former member of the ADL (Anti Defamation League) board. When she’s not working, she’s probably at the gym, spending time with her family (including dogs Hayley Bean and Honey Bear), trying new restaurants, wine tasting, watching football or traveling.